Winding up and down through cultures, past and present, enjoy Sacred Valley and the Inca vestiges of Machu Picchu on this 2 day privately guided tour. The tour slowly climbs it’s way out of Cusco passing through small ethnic communities over the high plains. The scenery is a masterpiece spectacular to the eye, with nature at its purest, exposing views of eternal mountains, snow peaks ready to fall upon the avalanche of the Andes. Visit three of the most interesting and unique Inca archaelogical sites, the”Green Houses” of the Incas in Moray an impressive deep amphitheater like terraces swirling around in agricultural beauty and the Salt Mine of Maras, where you can watch the salt streams naturally evaporate as they bask in the sunshine to be harvested by the local farmers as they have done for centuries. Continuing to enhance your journey of discovery we travel to the quaint village of Ollantaytambo, following on the cobblestone covered pathways to where you will explore the Massive Inca Archaelogical remains there with our guide. Upon arrival to Aguas Calientes via the panaramic expedition train, begin your connection to the natural world and cultural show at the citadel of Machu Picchu, catch yourself as you travel back in time to this magical place, sacred and mysterious, with the name of Machu-Picchu, “The Old Sacred Mountain.” Take your time exploring the magestic Machu Picchu, the Incan ruins rich in history of its past and the thriving culture of the people who once resided there. Note: All entrance fees are included and small groups averaging 5 persons with a maximum of 8! We pick you up at your hotel in Cusco or the Sacred Valley, navigating through the hairpin bends with each motion in change of direction stirring the excitement within, as you arrive at the stunning Inca site of Moray also known as “The Greenhouses of the Incas.” Different levels of terraces are carved into a huge bowl, part of which was further excavated by the Incas. 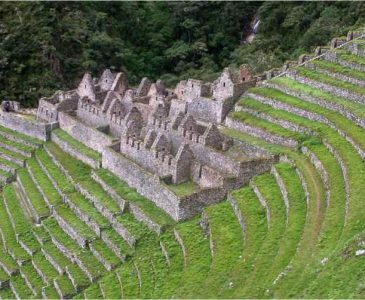 The terraces have varied microclimates depending on how deep into the bowl they are placed. It is believed they were used by the Incas to provide the optimal conditions for their crops. With renewed energy you will explore the next beautiful Inca sight, the colonial town of Maras and the Pre-Inca Salt Mine (Salineras). 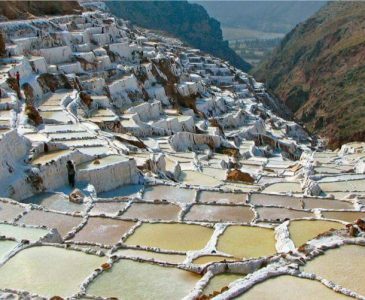 Thousands of saltpans have been used for salt extraction since before the Inca era. A hot spring at the top of the valley discharges a small stream of heavily salt laden water, which is diverted into saltpans and evaporated to produce a salt that is used for human and animal consumption even today. Continuing to enhance your journey of discovery we travel to the quaint village of Ollantaytambo, walking on the cobblestone covered pathways to explore the Massive Inca remains there with your guide. In preparation for our connection to the legend Machu Picchu Citadel, we board our train to Aguas Calientes at 7pm. On arrival, the hotel representative will greet and transfer you for your night in your hotel. Bursting out with excitement on your final surreal day, we take the bus to Machu Picchu archeological site, making sure we tour every nook and cranny of this New 7 Wonder of the World and UNESCO World Cultural Heritage site. On your 2.5 hours private tour, your guide will expertly direct you through the energetic ruins and its diverse main streets. Then on your own, you can wander around the town squares of the world’s spiritual center of esoteric wisdom as well as climb the intricately carved stairways made of stone until the end of your session time. After your time to enjoy Machu Picchu, you will descend to Aguas Calientes at 12pm. You can take in a leisurely lunch or explore Aguas Calientes handicraft market and board the Expedition train by 4:22pm for the return trip to Cusco stopping at the Ollantaytambo Train Station and then you will be driven back to your hotel in our private van, arriving around 8:30pm. 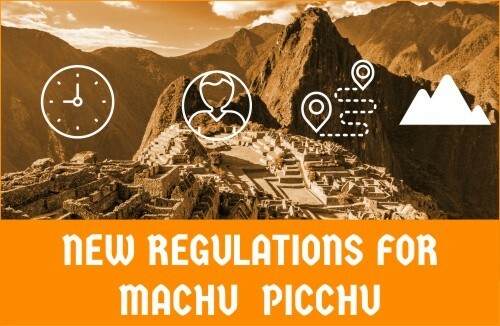 ***There are now 2 sessions to enter the Machu Picchu Citadel; 6am to 12pm and 12pm to 5:30pm. If you wish to stay after 12pm, you must purchase a second entrance ticket. ***Passengers that purchase Huayna Picchu tickets are given an extra 2 hours at the Machu Picchu Citadel and those that purchase Machu Picchu Mountain tickets get 3 hours extra. Tour to Moray and the Salt mine with entrance tickets included. Accommodation in hotel (2 star hotel) with private room, bath, & wifi. Meals which are organised at the restaurants in various locations. The “Moray, Salt mines & Machu Picchu Trip” its available on any date that its bets for you as long as we have a minimum of 2 people. ***Private service is available for $50 more per person. Students with ISIC CARD: US$25 Please send us a copy of your ISIC at the time of booking. Under 18 years old: US$30 Please send us a copy of your passport at the time of booking. Under 11 years old: US$40 Please send us a copy of your passport at the time of booking. Huayna Picchu Climb: US$35. This will need to be booked in advance, let us know about it at the time of booking. Machu Picchu Mountain: US$30. This will need to be booked in advance, let us know about it at the time of booking. 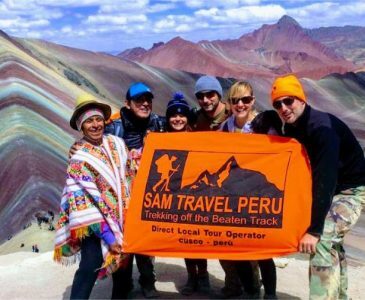 In an effort to provide a more personalised service to our passengers, we in SAM Travel Peru have a policy that our groups will not exceed 8 people. This fact alone sets us apart from other companies that operate departures with bigger groups. 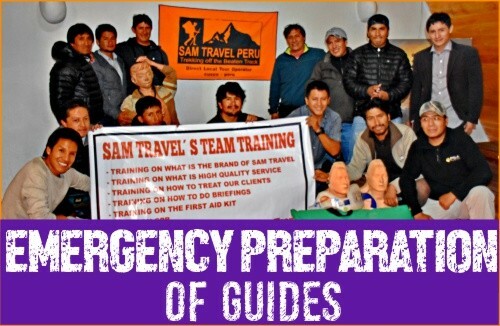 It will take place the night before the “Moray, Salt mines & Machu Picchu Trip”departure at 6pm in our office which is located at Calle Santa Teresa Nº383 ; 303 (second floor), we are next to SUBWAY restaurant. Of course! During the “Moray, Salt Mines & Machu Picchu Trip” your main luggage can be store at our office or at your hotel, both are for free. Please don’t pack anything you will need for your hike. 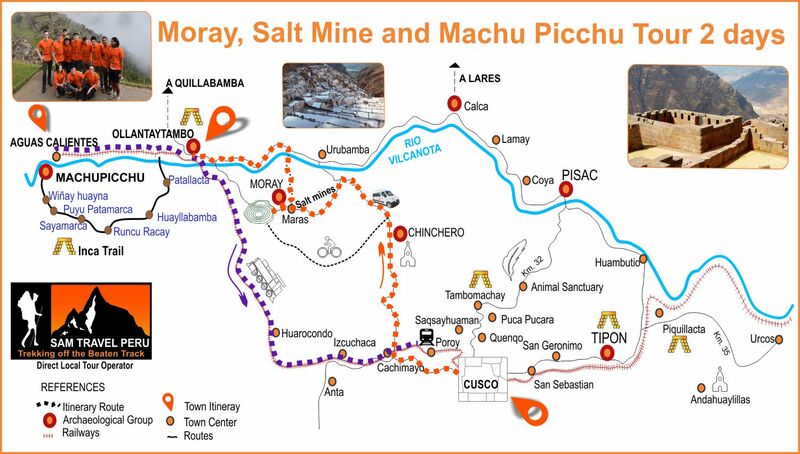 HOW TO BOOK THE MORAY, SALT MINE TO MACHU PICCHU TOUR? FIRST, to book your Moray, Salt Mine & Machu Picchu Trip, we need you to fill out our booking form by clicking on BOOK NOW on our homepage or click here the link BOOK NOW. *** If you cancel your Moray, Salt Mine & Machu Picchu Trip, the deposit is not refundable at all! WHAT YOU SHOULD BRING FOR MORAY, SALT MINES & MACHU PICCHU TRIP.